A walk in the shady woods. Gazing up at an old-growth pine tree. Touching your fingertips to the soft moss covering a boulder. Sometimes slowing down with nature can fill you with a well of design inspiration. There’s something about the soothing, earthy color Heathered Moss that takes note straight from nature’s book. The mossy-like hue feels organic, fresh and soothing. When the shade sides your home it offers a calm and comfortable feeling even before you step inside and it’s subtle enough that it accentuates any nearby greenery. Whether you side your home in HardiePlank® lap siding, HardieShingle® siding, or HardiePanel® vertical siding, when it’s clad in the color Heathered Moss, it can take on a traditional or contemporary look. And you’ll be happy knowing your fresh color will stay vibrant longer compared to field applied paint. 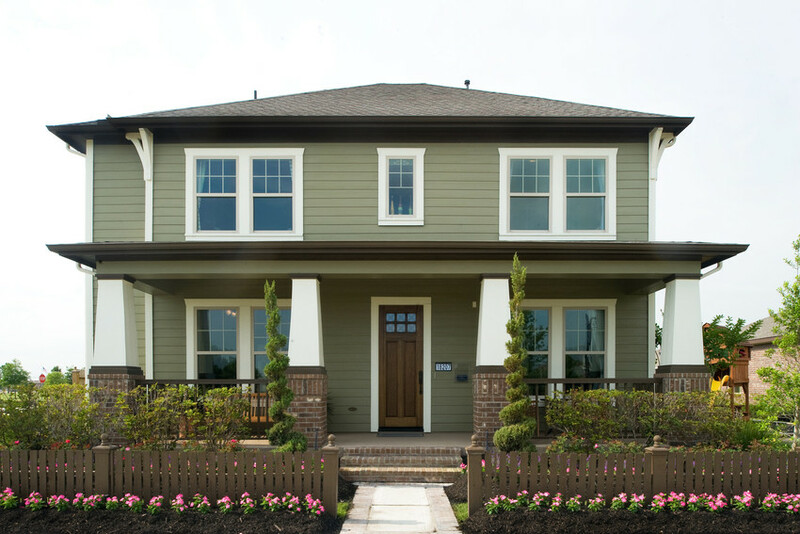 When paint and other siding finishes are applied in the field, they can dull prematurely, but James Hardie’s ColorPlus® Technology is specifically engineered to help resist damaging UV rays, so your nature-inspired shade will stay vibrant longer with less maintenance. This inviting and tucked-away bungalow blends right in with its surroundings. The body of the home is clad in HardiePlank lap siding in Heathered Moss and the gables are clad in straight edge HardieShingle siding in slightly darker Mountain Sage. 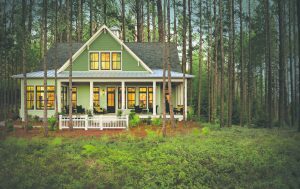 This two-story Craftsman-style home shows off the muddy and mossy tone of Heathered Moss. We love the HardiePlank lap siding in Heathered Moss paired with the clean Arctic White HardieTrim® boards; it amplifies the earthy hue of Heathered Moss. This big beauty is clad in straight edge HardieShingle siding in Heathered Moss with HardiePanel vertical siding in Mountain Sage. 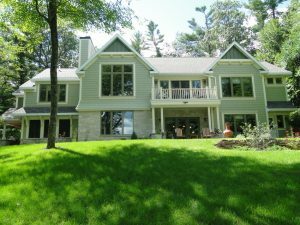 The green color combination blends nicely with the thriving lawn, stone landscaping details, and tall trees. Copyright © 2015 Custom Installations Inc All Rights Reserved.